The United Kingdom’s Tier 2 (General) visas are used by the businesses to sponsor skilled professionals required to work in its industries. The present salary limit for new entrants is £20,800; this applies to all the occupations in demand and some categories also need higher wages. The UK Government based on the recommendation of the Migration Advisory Committee (MAC), raised the visa fee hike from £20,800 to £30,000. This will have a great impact on the industries normally relying on the Tier 2 visas for bringing professionals. The Salary threshold will be £25,000 in autumn, and from April 2017 it will further increase by £5000 from April 2017. The employer must adjust the policies to welcome more immigrants with these categories. According to the MAC’s report, the salary threshold was set to £41,000, but Government did not stick to the same. This means in the future course of time the chances of salary threshold may further rise. The UK employers planning to recruit in the autumn can sponsor foreign nationals on previous salary threshold. The visa permit will be valid for the next five years. The Skilled shortage areas are exempt from the salary threshold, the occupations that provide emergency health care services such as doctors, nurses and other key areas of education are relaxed from the salary threshold. The newcomers, fresh graduates from the UK International Universities, must age below 25 their salary threshold is £20,800. 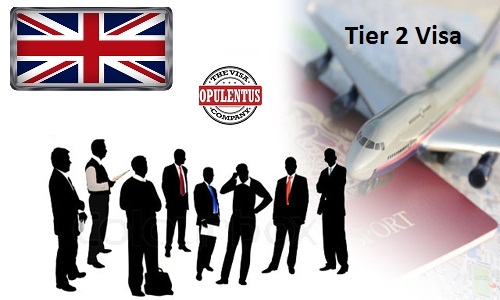 The UK employer can fill the gap by recruiting the qualified new entrants through the Tier 2 Visa policy. Post ‘Brexit the conditions of the immigration likely to change in the United Kingdom, the new policies, new trends in migration will impact the migrant population in the United Kingdom. The economic immigrants are most important to any economy in the current scenario; the movement of people from the European countries is pressurizing the job market and public services. More changes are expected from the United Kingdom Immigration. I had been working in UK thru TATA consultancy services for 1 year with Tier 2 ICT visa and Cooling period has been completed.I’d like to work in UK for long term.